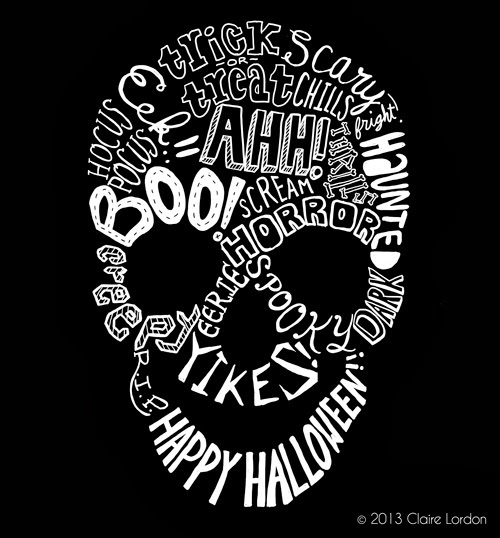 Halloween is my favorite holiday so I decided to draw Halloween phrases on a skull. I'm excited because I'm having this made into a t-shirt! I love having designs made into physical products. If you want your own shirt, art print, or something else the design is available in my Society6 store.